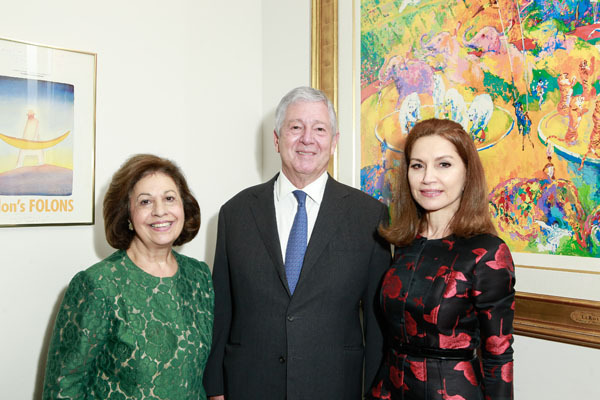 Their Royal Highnesses Crown Prince Alexander and Princess Katherine, hosted Lifeline New York’s 7th Annual Benefit Luncheon to raise funds for medical equipment for children’s hospitals in Serbia at Le Cirque on Wednesday, October 25. 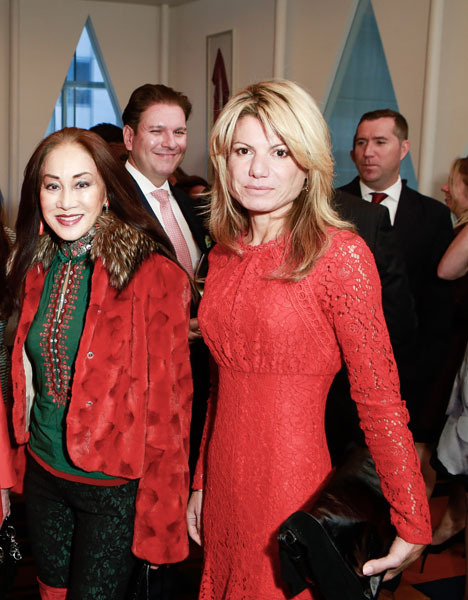 Among the supporters were Prince Dimitri of Yugoslavia, Ivana Trump, Cheri Kaufman, Sharon Bush, artist Robert Cenedella, Kick Kennedy, and Jean Shafiroff. 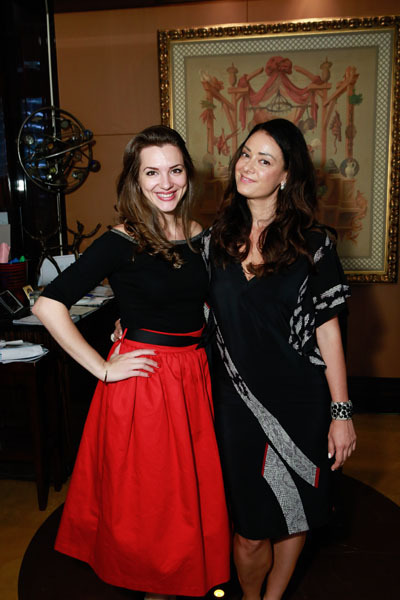 The event kicked off with a champagne reception where guests were served hor d’oeuvres. At the lunch, President of the Board, David Hryck, welcomed guests and introducing Event Emcee and Vice President Cheri Kaufman who introduced HRH Crown Prince Alexander who thanked his wife and attendees for their support. Prince Alexander introduced guest of honor, Douglas Jackson, PhD, JD, CEO of the Project C.U.R.E. 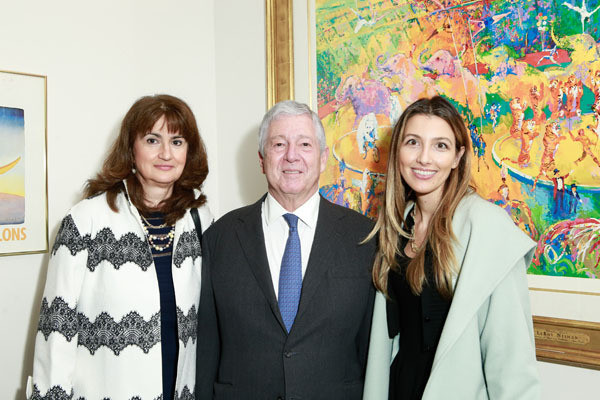 Dr. Jackson, who partnered with HRH Crown Princess Katherine to donate 1.4-million dollars of medical sterilizers, then said “You don’t have to have money to change the world… do what you can do today,” before receiving a special recognition award from Lifeline New York. The lunch continued while internationally renowned guitar duo, Srdan Bulatovic and Darko Nikcevic entertained guests including Alice Weil Judelson, Liz Derringer, Dr. Christopher Calapai and Celebrity Caterer Andrea Correale, by performing pieces inspired by the Balkans. 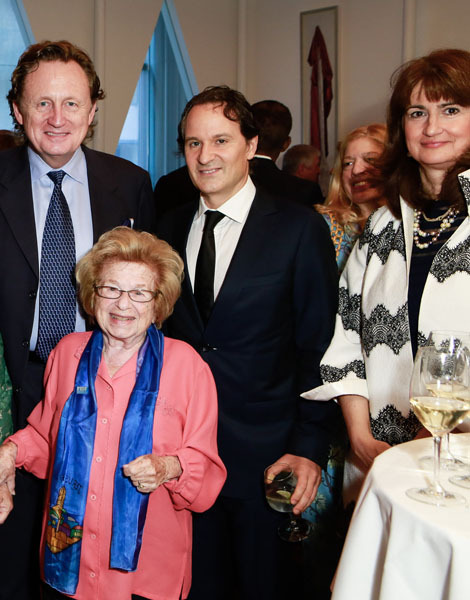 Princess Katherine addressed guests and thanked her husband and everyone involved with the Lifeline Foundation saying “The last few months have been magnificent, and we raised more than $1,730,000 in medical equipment donations. Thanks to Dr. Jackson we were able to get new sterilizers for hospitals in Serbia for Belgrade, Novi Sad and Kraljevo, which are valued at 1.4 million dollars.” She went on to thank the Stavros S. Niarchos Charitable Organization for its donation of a mammography machine to Clinical Center Nis in Serbia worth $700,000. She then thanked the audience for all of their help and efforts in helping Serbia and their people. Artist Robert Cenedella painted “Le Cirque – The First Generation,” in 1998 that was originally hung at Le Cirque 2000, before the restaurant moved to its current location. “Le Cirque – The First Generation” depicts the elegance and spirit of one of the world’s most preeminent restaurants in its original setting. It is a visual feast, a family portrait including more than 100 celebrities and political habitués over the years such as Henry Kissinger, Richard Nixon, Jacqueline Kennedy Onassis, Philip Roth, Paul Newman, Tony Randall, Sophia Loren, and Barbara Walters.